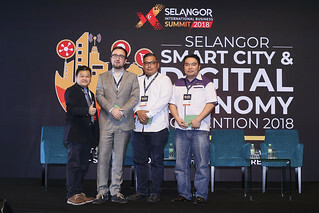 A full class of 120 attendees took part in the EC Class titled EC302 Social Media Marketing, with the class organised by the Selangor Information Technology and E-Commerce Council (SITEC). Following the new system set up in 2017, the class featured a coach, and the coach and speaker for the class was David Ho, founder and executive director of Navigator Business Academy. Ho started off the class with several statistics, pointing out that the social media penetration in Southeast Asia is higher than the rest of the world, with the regional average of 47% trumping the global average of 37%. Brunei led the region with 86% of its population actively utilising social media, with Singapore in second place at 77%, and Malaysia in third at 71%. Other notables include Thailand at 67% and the Philippines at 58%. “With the total number of active users around the world surpassing 300 million and continuing to grow, it’s no surprise that many businesses have taken to social media to make the most of this huge available audience,” noted Ho. After that, Ho moved on to the evolution of the web, noting particularly that messages on social media can move in as many directions as there are people online, with users interacting with, responding to, and creating their own conversations around messages delivered through the platform. “All this interactivity means that social media creates an environment which profoundly influences our own behaviour, and one where increased sociability, accountability, and transparency are the minimum entry requirements,” said Ho. Ho brought up that messages were no longer restricted to a textual medium, as the advent of Flash, Java, and HTML have allowed websites to move towards more dynamic, interactive elements, making user interaction a core component of sites. Users are now also able to customise their content feeds according to their interests or location, and are allowed the option of contributing to the content being posted and witnessing the impact of their contribution in real time. This shift to the web, popularised as Web 2.0 by Tim O’Reilly, describes the move to a platform where content is no longer dictated by the websites themselves, allowing for user-generated content which in turn adds value to the network through the contributions of the users. This has resulted in the hyper-personalisation of content, which comes about as part of user data and targeting, which in turn leads to users being presented with content on social media that is seen as personally relevant. In the beginning, users had to curate their content experience themselves, following and rejecting content based on their likes and dislikes. Then, the platforms began taking advantage of the vast amount of customer data available to them. This data, usually collected at the sign-up step of social media, forms the basis of the data collected by the platforms. Any activity undertaken by the user on the platform is also recorded, and all of this information together builds a detailed picture of the user’s interests. “Social platforms employ complex algorithms to present users with content they think will interest them. These algorithms, mathematical processes that take into account a whole host of factors, determine the order in which posts should appear within a user’s news feed. The ways they determine which content to prioritise changes fairly regularly, with some platforms now taking a machine learning approach,” noted Ho. “Whether it’s showing you photos from friends you interact with frequently or highlighting posts on a topic you’ll likely find interesting, the algorithms are now almost as responsible for content curation as the users themselves,” added Ho. All of the data collected then presents opportunities to brands and platforms to target specific audiences with paid advertising strategies. This can be covered in three stages, namely in terms of acquisition, conversion, or retention, and social media platforms have answers to all three stages. Examples of acquisition solutions include the ad targeting by Facebook and Twitter, lookalike audiences by Facebook, Promoted Tweets, Twitter ads, Lead Gen Cards, and ID Audiences by Twitter, and Rich Pins by Pinterest. These solutions also allow for the tracking of conversion, and paid solutions allow for the maintaining, converting, and growing of relationships with prospects and existing customers both. In terms of retention, social media platforms allow brands to reach people that already know their brand, also allowing for the management of CRM data and improving the performance of ad campaigns by combining social media data. Here, Ho noted that brands can only use data that a platform gathers on its users as part of a paid campaign. Social media marketing also represents a push marketing strategy, which he notes is the best way of getting users on social media to be interested in the brand’s content. The final point to highlight in the evolution of the web, according to Ho, was the dramatic rise in mobile social media usage, which now sees over 270 million active users of social media on mobile in Asia alone, with several studies showing that users are more inclined to view and share content on social networks through their mobile devices than they are on their desktops. In summary, the progress of the web towards Web 2.0, the advent of machine learning and data collection, as well as the shift towards mobile social media usage, has led brands to seek opportunities to reach a mobile audience. With the basics established, Ho moved on to speak about the traditional media categories, and how they work in the context of social media. The three categories here are Paid, Owned, and Earned, each of which have different targets. Paid media, such as traditional advertising and direct mail, target prospects, while Owned media, such as the brand’s own website, social channels or blog, target customers. Earned media targets advocates, and cover referrals, social sharing, and word-of-mouth, among others. “With all the changes in the way consumers interact and behave online, it’s no wonder that brands on social media need to go beyond setting up a Facebook page and using it to broadcast messages or dump content without proper campaign planning,” noted Ho, explaining that social media users expect to encounter a brand persona whose tone of voice is clear, consistent, and empathetic, and is able to follow this across all content. Ho then noted the difference between social media and social networks, as social networks are part of social media, but social media platforms may not necessarily be social networks, such as blogs. “Social networks are probably what we think of first when social media is mentioned, such as Facebook, Twitter, and LinkedIn, where the primary role is to allow users to communicate with one another across the platform. 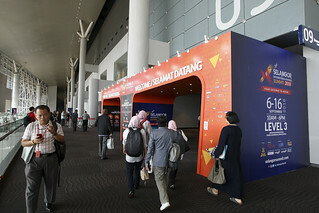 They might enable us to do other things too like upload pictures or share our work experiences, but their main focus is on getting users to interact with other members of the network,” said Ho. “Social media, on the other hand, is a term with a much wider scope and includes blogs as well as sites like YouTube. The only requirement for a platform to fall under the definition of social media is that it enables users to create or share content,” added Ho. 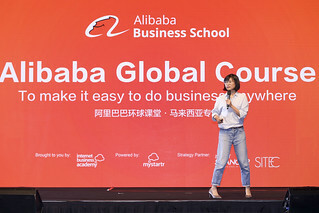 On the topic of social media vs social networks, Ho also commented that, while larger social networks seem to be the bigger draw, many brands now feel that the future of social media actually lies in developing more niche platforms around specific interests. Alternatives to general social networking platforms are niche social networking sites, which target specific audiences. By targeting specific audiences, niche social networks are able to create an automatic bond between people. The point here is to find a group of people very dedicated to something, and bring them together. As such, it can be seen that the traditional media categories work alongside one another on social platforms, and that social media encompasses more than just social networks. Social media is continuing to evolve with the rise in the number of niche, single focus platforms, and these come with their own unique opportunities for brands. According to Ho, one of the first decisions a brand has to make when thinking about using social media for marketing is the decision of paid media versus organic growth, as well as when to use them. Paid social media allows for a brand’s message to be shown to social users who aren’t already following the brand. The paid variant is also highly targeted, and allows for specific demographic and geographic targeting, mitigating the chance of ad spending going to waste. On the other hand, if the brand is already active on social media, organic ad content is already being built and shared. One of the greatest values of social media is that it allows messages to be amplified through social sharing. To optimise reach with organic social ads, brands should work to create sharable content. The more people who like, share, and retweet the message, the greater the ROI. Ho noted that there are three questions a brand should ask when it comes to planning how to engage an audience in social media, and the questions are who is being talked to, what is the topic, and who is talking. The answers to these questions not only dictate which platforms will be used, but also how the communications will be framed, as well as the format the communication will appear in. As such, knowing the target audience is key to making sure things run smoothly. As to the topic, Ho noted that contributing more generally to relevant discussions within the category by providing useful information and updates, or even building up an entertaining brand persona, are valid and valuable ways to operate in the social space. As to who is talking, it could be anyone from a dedicated customer service team to the managing director of the company, though the marketing team tends to shoulder most of the responsibility. In any case, brands need to have someone in a position to respond to any activity within the category, and be able to reply to consumers seeking to interact with the brand. On the topic of influencers, Ho noted that influencers tend not to provide coverage for free, but instead have found numerous ways of working with brands to monetise what they do. However, top influencers also hold the greatest power to share content and have extraordinary reach. “Identifying key influencers and developing a relationship with them is an important part of social media marketing. Known as influencer outreach, this can involve anything from inviting bloggers to press events, to feeding them product information what will appeal to an audience of early adopters. Having these influencers on board is a great way of engaging a target audience, so it’s something that all brands should think about when they are planning their communication strategy,” said Ho. Selecting influencers comes down to whether or not they fit the context of your product, how credible they are to your target audience, their reach and their influence to move their followers to action. The market sharing session saw a representative from Biztory, promoting their solution, which is an integrated system to sell, promote, and deliver. Biztory is already working with a number of marketplaces and logistics providers, allowing an integration across marketplaces for the merchant.